Are you a student, young worker, or tourist? Wondering which area of Montpellier is the most pleasant to live in? 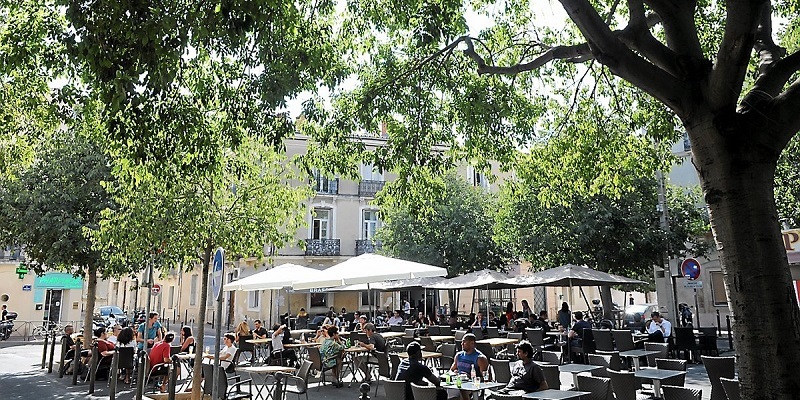 Find out about the best neighborhoods to stay in Montpellier! The metropolitan area of Montpellier is the eighth largest in France, with 275,318 inhabitants within the city and 414,047 inhabitants in the urban area. 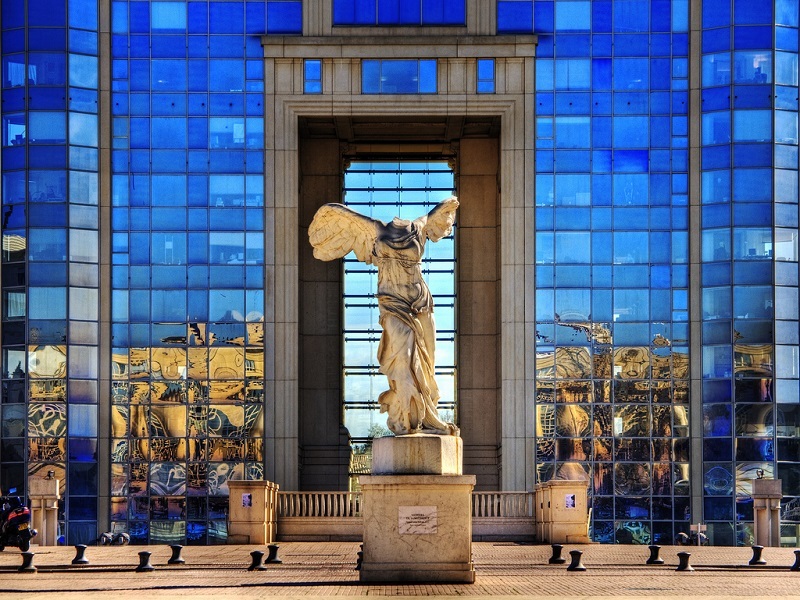 Ideally located, Montpellier enjoys a mild Mediterranean climate in winter and warm in summer and is one of the most attractive cities in the country, mainly targeted by students (70,000), whose proportion reaches 25% of the population. Living in Montpellier can, therefore, be expensive depending on the neighborhoods and their sociology. Montpellier is officially divided into seven districts – Montpellier Centre, Croix-d’Argent, Les Cévennes, Mosson, Hôpitaux-Facultés, Port-Marianne and Près d’Arènes – each with its own atmosphere, history and culture. Here is our selection of the best neighborhoods to stay in Montpellier, this city of young people where almost everyone seems to know one another. L’Écusson is the largest pedestrian city center in Europe. It’s definitely the best place to stay in Montpellier if you want to see and do everything on foot, without having to get around by car or public transport. In this area, you’ll have access to a wealth of museums, art galleries, bars and restaurants, whether you are staying near Saint-Roch and its “boho” restaurants, or closer to Sainte-Anne and its bars, along the famous rue de l’Aiguillerie packed with “alternative” bars -, towards Pitot, the Parc du Peyrou and the Jardin des Plantes, or towards the Ancien-Courrier area, with its vintage boutiques, high-end shops, thrift stores, art deco architecture, jewellery stores and small bars. It is easy to get lost in this dizzying maze of narrow, medieval streets. 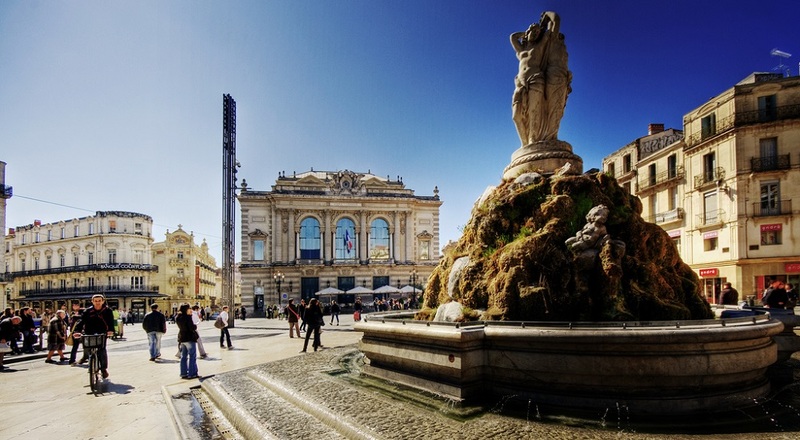 In our opinion, this is the best district to stay in Montpellier. This is Montpellier’s busiest area. The Place de la Comédie, the Esplanade Charles-de-Gaulle, and the Corum situated close by, offer everything you need to spend a good time in town: shops, restaurants, and bars with terraces to relax in the sun all year round. The city’s main square, Place de la Comedy – or the “Com” as locals call it – is always crowded with people. The Esplanade – or “Espla” – hosts the city’s yearly festivals (Les Estivales in summer, Les Hivernales in winter), the Christmas market, and numerous booksellers. In short, it’s a place to meet up and stroll around. A pleasant district to stay in Montpellier, close to the train station, ideal if you have to take an early morning train, yet very touristic. Les Beaux-Arts is like a small village in the city with its small markets and squares frequented by the “hippie chic” – i.e., the alternative middle-class youth. The area is home to a diverse and ecologically conscious population, fond of festivals of all kinds and alternative culture. 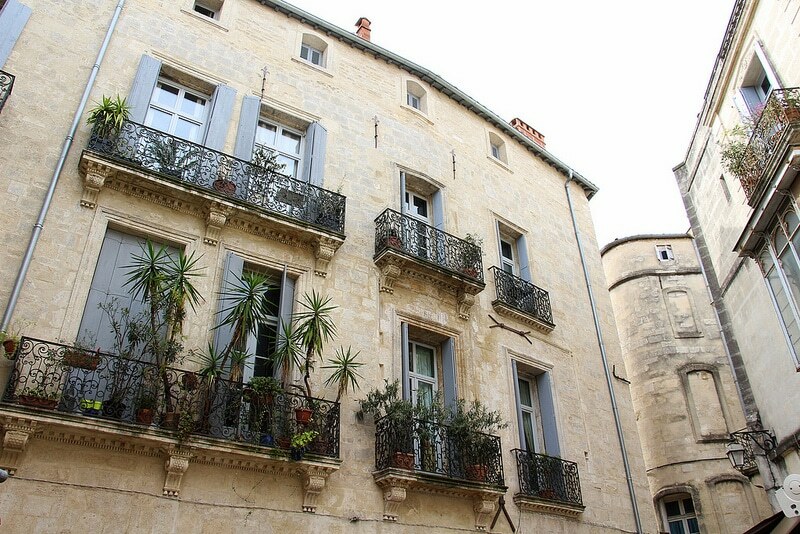 It’s a lovely neighborhood to stay in Montpellier, and apartment/homestay rates are affordable. Thanks to its many street concerts (don’t miss the Festival des Fanfares, in June), numerous markets, and art exhibitions, Les Beaux-Arts is both a lively and laid-back quarter, only two minutes away from downtown. 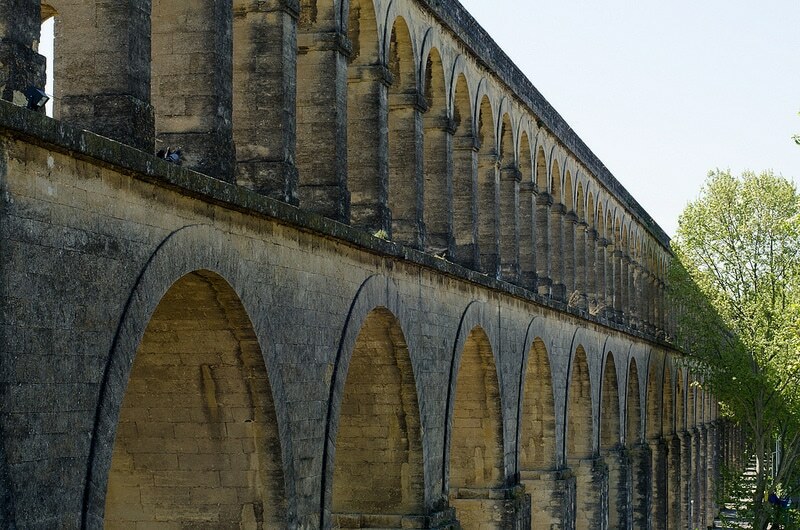 You can’t miss Les Arceaux, easily recognizable from its arches of the ancient Roman Aqueduct. In this quarter where the old blends with the new, local life is all about valuing ecology, consuming organic products, hunting for vintage vinyl records, purchasing a bag of spices in Gambetta, or cheap clothes at the local thrift store, and finally enjoying a cup of tea or a beer on a shady terrace. Located close to L’Écusson, Les Arceaux is a great place to stay in Montpellier, far from the frenzied touristic atmosphere of the Com’. Nearby, Figuerolles is none other than the Arab quarter, always bustling with activity day and night. Concerts, friendly bars, and especially the daily markets, selling all sorts of inexpensive products from the Maghreb. The new town is not far from the banks of the Lez river. The district offers pleasant lodgings in brand new and elegantly designed apartments. Here again, the area attracts many students, thanks to the nearby Faculty of Economics and Law. Port-Marianne offers a good compromise between urban life (close to the city center by tramway) and proximity to nature: you can quickly reach the road to the beach. If you come to Montpellier to attend the FISE, then you should stay in the Port-Marianne / Rives du Lez quarter.